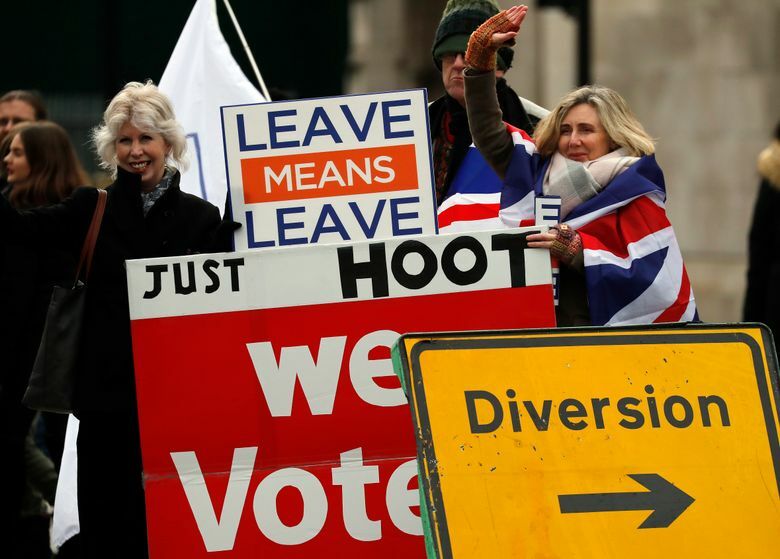 LONDON (AP) — British Prime Minister Theresa May’s Brexit divorce deal may not be, as one opposition lawmaker called it, “as dead as the deadest dodo,” but it is definitely ailing. It looks very likely that Britain’s Parliament will reject the agreement in a vote scheduled for Tuesday. If that happens, May has until the start of next week to come back to Parliament with a Plan B — and Britain has just 10 weeks until it is due to leave the bloc, with or without a deal, on March 29. Here’s a look at what might happen if lawmakers vote down the deal. If the deal is rejected by a narrow margin, the government could try again, re-submitting the agreement to Parliament after tweaking it or winning some soothing words from the EU to assuage lawmakers’ concerns. But while EU leaders have offered “clarifications” to the deal, they insist the 585-page withdrawal agreement cannot be reopened. Any further assurances they give are likely to fall far short of demands by pro-Brexit lawmakers, who want to alter or drop the “backstop,” a guarantee for the Irish border that would bind the U.K. in a customs union with the EU after Brexit. The EU says that there can be no deal without the backstop to guarantee an open border along the U.K.’s only land frontier with an EU member state. The EU would likely be more receptive to a softer Brexit deal that saw Britain remain part of the bloc’s single market for goods and services. But May says she will never agree to such a plan and it’s unclear whether a majority of lawmakers would support it. If the deal is defeated by a big margin, Prime Minister Theresa May will face pressure to resign. But she has vowed to carry on, and there is no way her Conservative Party can evict her as leader — after a failed no-confidence vote in May’s leadership by Conservative lawmakers in December, she is safe from another challenge for a year. The main opposition Labour Party says it will try to trigger an election by calling a no-confidence vote in the whole government. But the vote will fail unless some members of the governing Conservatives or the government’s allies from the Democratic Unionist Party in Northern Ireland rebel and side with the opposition. If the government lost a no-confidence vote, it would have 14 days to overturn the result by winning lawmakers’ confidence in a new vote — possibly with a new prime minster, if May was persuaded to quit. Barring that, there would be an election, a process that takes five to six weeks. 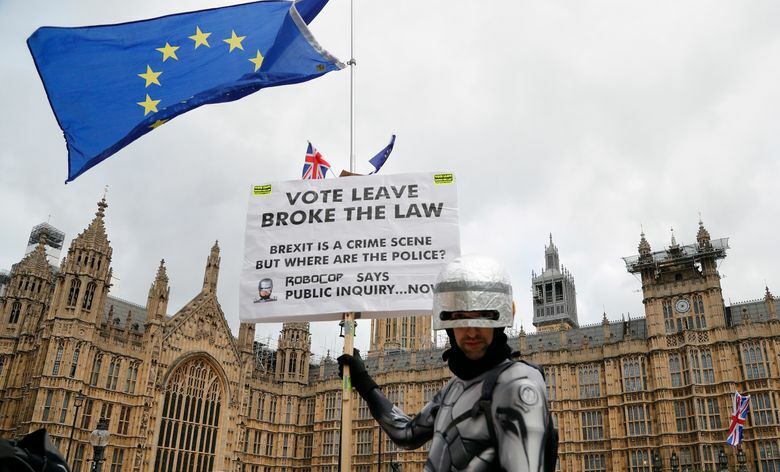 The campaign to revisit Brexit in a second referendum — driven largely by supporters of the losing “remain” side last time around — has been gathering steam as the pitfalls and complexity of the divorce process become clear. The government is firmly opposed, but has warned that it is increasingly likely that the decision to leave the EU could be reversed if May’s deal is rejected. It’s unclear whether a majority of legislators would support a new referendum, or what the question would be. Many pro-EU politicians want a choice between leaving on the proposed terms and staying in the EU, but others say leaving without a deal should also be an option. “No deal” is the outcome few want — but it is also the default option. If the divorce deal is not approved, altered or put on hold, Britain will cease to be an EU member at 11 p.m. London time on March 29.